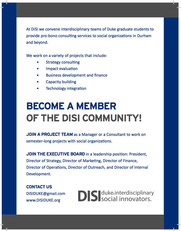 We bring together interdisciplinary graduate student teams that provide pro bono consulting services to social organizations in Durham and beyond. We provide students with the opportunity to gain experience beyond the classroom in a collaborative environment while strengthening the work of change makers at the intersection of technology, business, and public policy. Impact Evaluation: Comprehensive assessment of changes in the social, environmental, and financial outcomes of programs and policies. Integrating new tools and technology: Development of new tools or implementing current technology to help make service provision make effective and efficient. Social change strategy: Design strategic plans and help establish programs to identify new visions that achieve social change. Development and Finance: Help identify areas of financial concern and implement fundraising and grant writing strategies. 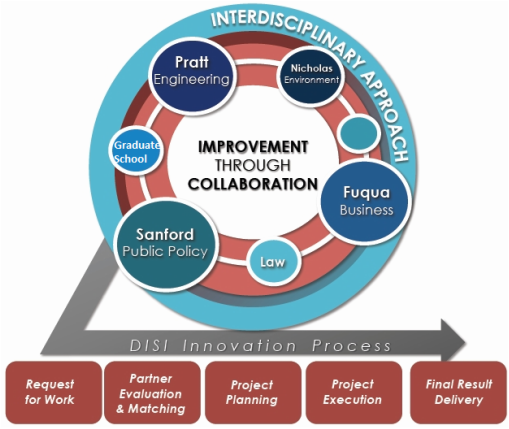 Identifying other needs and projects that can improve or enhance organizational capacity. 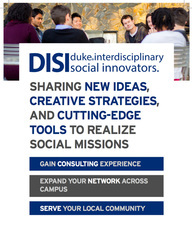 Click on these images to download our flyer!